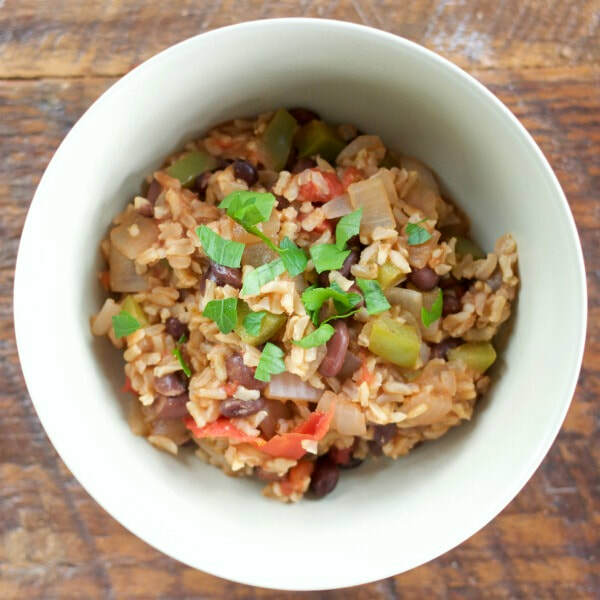 While dirty rice traditionally includes meat, it's not necessary for this dish! For some extra protein, try adding chicken or having this as a side dish with our Crock Pot Steak and Peppers. Saute onion and green pepper in canola oil, in a large pan, until tender. Do not brown. Add tomatoes, beans, oregano, garlic powder, and water. Bring to a boil. Stir in rice and cover. Reduce heat to simmer for 5-10 minutes, until rice is nearly tender.